September 2013, I find myself separated from my husband, homeless, penniless and feeling very very sorry for myself. I allowed myself to feel and live like this until New Year’s Eve 2015. This is when I signed up to a New Year’s Eve Retreat with Firewalking International, which would include a Firewalk and Sweat Lodge. I really didn’t know what it was all about, but I needed to change and I could only do that from the inside out. I went along to Donegal, Ireland with two of my greatest friends and decided to give this a shot. We, 16 of us, lived together, ate together, cooked together. We built fires together, we did the sweat lodge together; and for those few days did everything in sync with each other. Instead of heading into town for New Year’s to get wasted, and be arm deep in a bar, I instead was making prayer sticks, walking on broken glass, doing a sweat lodge ceremony as well as Firewalking and dancing. And I can honestly say it’s the best I’ve ever had. The intentions that I set when walking across the fire have come true with abundance. From this day on my life changed! In 2016 I attended more Firewalks, more Sweat Lodges and did a lot of getting to know and accepting myself. As a result, I got a divorce (this is a good thing) – I wouldn’t have had the courage before to do it. I got not just one, but two promotions in my job, therefore more money to do more things, I had 4 holidays, I got more piercings; I cut the parasites from my life and welcomed the love. I saved up and bought my own wee apartment up in the mountain. This is my haven not just my home. This year I have embraced who I am and what I want from life. With no apologies. 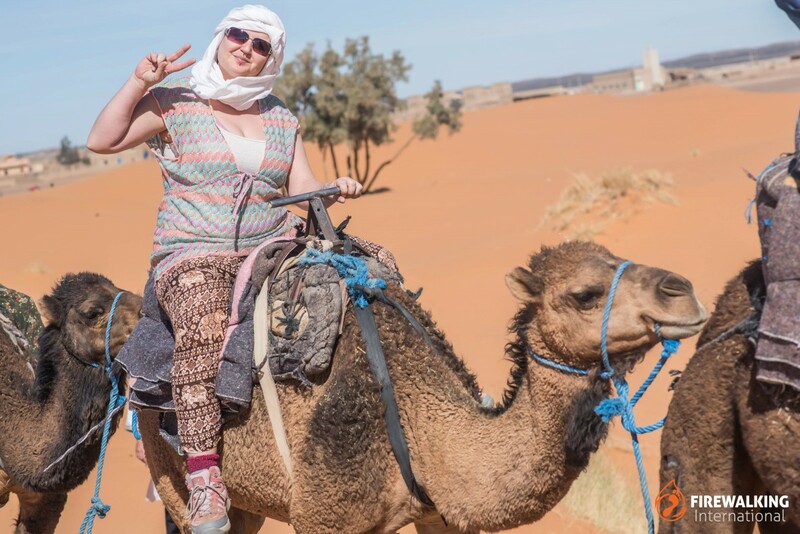 I went on the Sahara Retreat, and found myself completely. Ya kinda do when it’s you, the sun, the sand and your bottle of water. I’ve realise everything is possible. You just have to believe it and it will be. 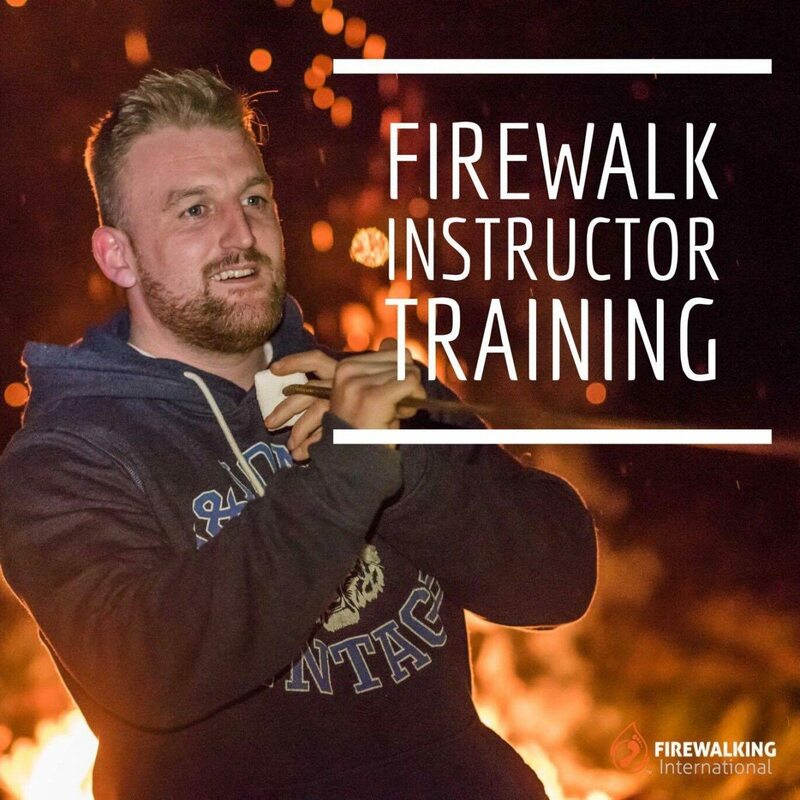 This year I am also going on to become a Firewalk Instructor. No! I can’t. However I know the money will come and I will succeed in my intention of paying it off early. JUST SAY YES, GIVE THINGS A GO. YOU NEVER KNOW WHAT DOORS MAY OPEN AND WHAT WONDERFUL THINGS YOU WILL FIND ON THE OTHER SIDE. Special Thanks to Ita Malloy, Aisling Doherty for coming to that NYE Retreat with me. I would never have been brave enough to do it by myself. And last but no means least, thank you Stephen Brown for helping me see what I am capable of.